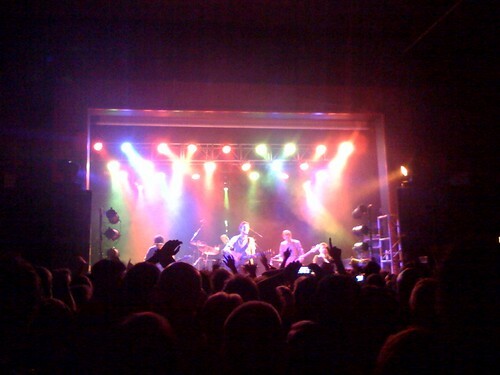 We went last night, it was my first time seeing them and while everyone else said they weren’t as good as they used to be I enjoyed them a lot. Long queues though in the car, we were lucky to get through before the switch off at 11 pm! MissionClock – Keep up-to-date with space launches from NASA and other agencies around the world with MissionClock for your iPhone or iPod Touch. MissionClock shows you a real-time countdown clock for upcoming missions, as well as information about missions that are currently underway. You can see major launch and ascent events as they happen, and receive alerts when mission conditions change. Fur flies on ‘Mr. Fox’ — latimes.com – Does it make Wes Anderson slightly more endearing to know he's a nightmare to work with? Good or bad, it'll be an interesting film. Nice to know it was made in the UK too. I lov the weird world of Wes Anderson films. It’s the kind of world you would love to live in but know it’s impossible. As you might have guessed, went to see Fantastic Mr. Fox last night. Is it for kids? Marketing people might think so but suspect Anderson doesn’t really care he just wanted to make it. I think it’s more for people who remember the story fondly. But I think it’s nicely updated. I don’t know what it is about his films, it’s not only the aesthetic which he manages to keep spot on even in an animated medium it’s all the rest too. 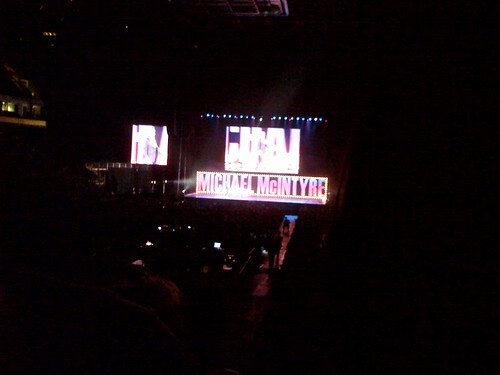 Michael McIntyre – Reviews – Comedy – Greater Manchester’s CityLife. Went to see him at the MEN last night, it was great to see a man who clearly enjoys life and finding funny things in it. I hadn’t been to see comedy in the arena before so I was curious as to how it would work. Our seats were block 109 which is pretty much at the other end of the arena from the stage – so the TV screens there are essential. It is not, however, the same as seeing it on TV – it’s live, you are there and a part of it even though there are 16,000 other people there. Out of interest just looked up the prospective candidates for MP’s in Bury. It’s a majority of 2000 so it’s fairly close, currently a labour MP but a tory council. The Labour guy at the moment got caught up in the expenses thing and has said he will step down at the next election, labour haven’t named their replacement yet but the candidates are all women. Lib Dem guy is Richard Baum, lists all his GCSE’s results, A-levels and volunteer work and so on. Interestingly the Labour website still lists David Chaytor as the next prospective MP for Bury North, despite being officially barred from standing as an MP. I know i’m in the minority, but I don’t really ‘get’ the BBC’s iPlayer. It’s not that I don’t use it – I do but I don’t use it very regularly. In fact what I really use it for most is when I hear of a band I like were doing a session on Zane Lowe, so I listen back to it. For TV, pretty much everything I want to watch gets recorded by my BT Vision box and if I miss it I usually just search for a repeat and watch that. I can’t imagine a world where someone doesn’t have a DVR but is prepared to leap a few technology steps ahead of just a TV and watch the iPlayer to see what they’ve missed. Where is the iPlayer project heading? Really I would like to see things like the BBC’s catch up service along with the other channels all work with eachother and could then replace the recorder parts in your set-top box. What’s the point of everyone having 160GB or whatever hooked up to their TV when the BBC will stream it to you for free anyways? To catch it in case of rights issue’s and them not being able to stream it to you? I just find it a bit odd that we have these competing methods and nobody’s unified them yet (nor is likely to be allowed to either). The BT Vision box does On Demand stuff very well all coming from BT’s servers and it does have catch-up content from the channels but strangely you have to pay for it. Someone at some point will merge Plex or similar to have an iPlayer that will work for all the channels including Sky’s, that’s the holy grail here isn’t it?